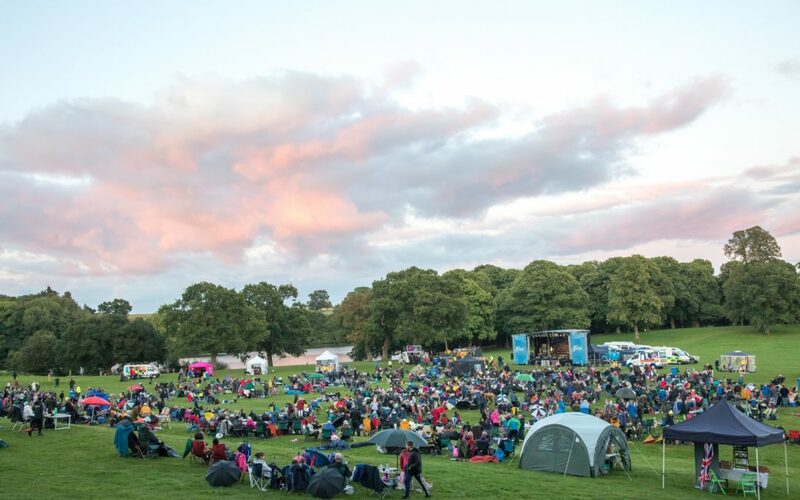 Proms & Prosecco in the Park on 9th September 2016 was attended by around 1,600 Promenaders and it was so much fun that we’re doing it again in 2018! Prom-goers were treated to performances from Alexandra Jayne, the Cosford Military Wives Choir, Prima Wind Quintet, Camerata of London Chamber Orchestra Amadeus Brass Quintet, tenor Jack Foley and soprano Emily Haig. Jack and Emily were joined by many of the other performers for a fabulous finale including all the Last Night of the Proms favourites, with flags waving, audience singing and lots of twinkling lights. Next year’s Proms & Prosecco in the Park takes place at Chetwynd Deer Park, Newport on Saturday 8th September and tickets are available now from www.fizzfestivals.com with early booking discounts available!